Kids Carnival is back again!!! 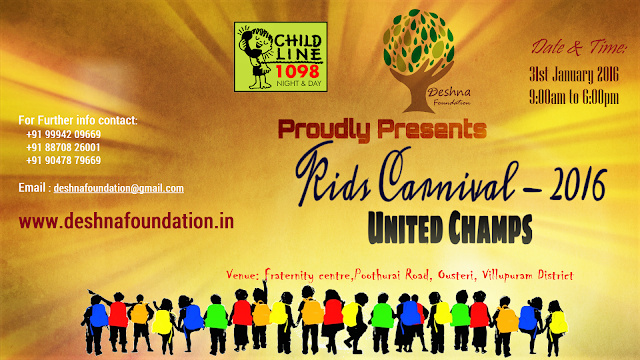 Like last year we gonna have kids carnival, for the Govt school and Non profit Institutions at Poothurai Fraternity Centre, Ousteri, Villupuram dist. It's going to be MAXXX FUN this time around. Donations and sponsors for the event are welcome. For donations please contact us or Email us : deshnafoundation@gmail.com.